HBPW coordinated efforts with the City of Holland through a series of meetings to ensure that throughout the project, residents in the area would be impacted as little as possible. In the last few years, HBPW maintained infrastructure underneath South Shore Drive through regular maintenance, but the time had come for a long-term solution in that location to ensure reliable service for our customers. As an organization that provides reliable service to customers, the South Shore Drive project quickly moved to the top of HBPW’s list of priorities. 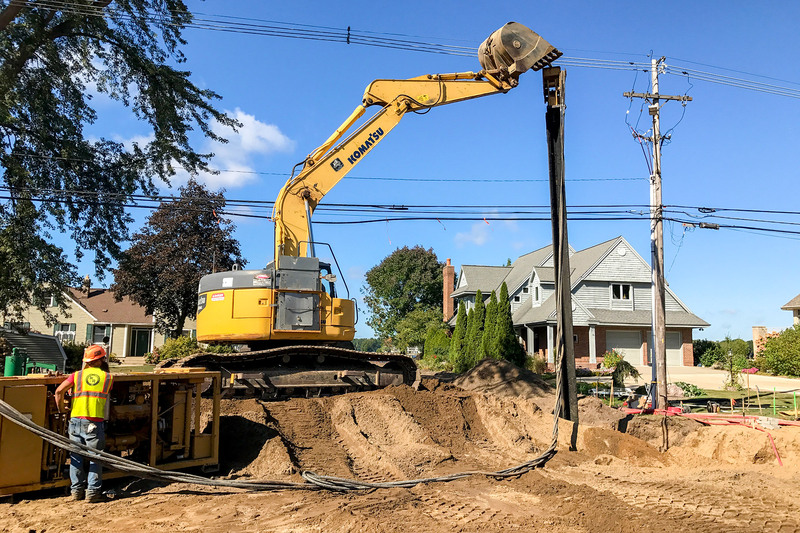 “Reliability is crucial to us and our customers, so our goal is to replace old or damaged piping before they become an issue or negatively impact our customers,” said Koning. Along with other aspects of the project, HBPW replaced 7,000 feet of water main from Old Orchard Road to Azalea Avenue and lined the sanitary sewer pipe instead of digging it up. The $6 million project was funded through the Capital Improvement Program and was executed as planned and completed in fall 2017.